Crisis pregnancy center van in PIttsburgh. 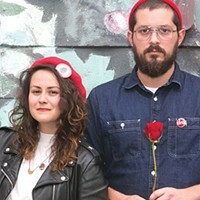 Of its many goals, the Democratic Socialists of America (DSA) Pittsburgh chapter, particularly its DSA Socialist Feminist Committee, works to promote access to safe reproductive health services. Part of that mission is raising awareness about crisis pregnancy centers (CPCs) – seen by many as fake health clinics run by pro-life groups - and the threat they pose to women. Now the DSA is asking the public to help with #GramTheVan, a social media campaign to capture photos of CPC vans parked around the city. Launched as part of a national campaign organized by Lady Parts Justice League, the effort asks people to snap and post images of CPC vans and post them to social media sites like Instagram. 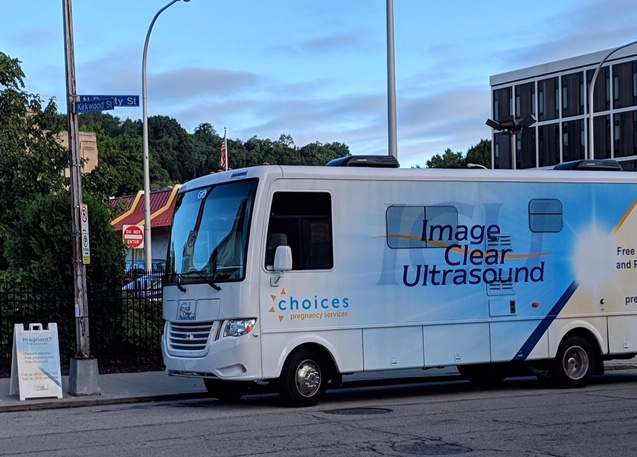 Abortion rights advocates believe the official-looking vehicles offer free services like ultrasounds and STD testing in order to lure women away from legitimate healthcare providers like Planned Parenthood. “These are people who are definitely trying to take advantage of people in vulnerable situations, and they’re also preying on gaps in our health care as well,” says Crystal Grabowski, who co-chairs the DSA Socialist Feminist Committee with Sophie Wodzak. She adds that they hope to attract those unable to access abortion services and reproductive healthcare either due to lack of funds, insurance coverage, or clinics in their communities. ExposeFakeClinicsPgh.com, a website the DSA launched last year to raise awareness about the dangers of CPCs, states that 82 percent of Pennsylvania counties have no abortion providers. Compare that to the rapid growth of CPCs, which now number around 4,000 nationwide, with several located in and around Pittsburgh, including in neighborhoods like the North Side, Downtown, and Oakland, where Grabowski says they can access students from universities like CMU and Pitt. In what was seen as a blow to abortion rights, the Supreme Court sided with CPCs in a 2018 case, ruling on First Amendment grounds that a State of California law could not require the centers to inform women about abortion as an option. CPCs also receive millions in government funding because they’re seen as still providing a necessary service to families. 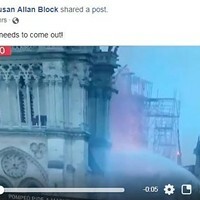 While CPCs tactics have received a fair amount of scrutiny, including an in-depth segment on the HBO show Last Week Tonight with John Oliver, Grabowski knows more needs to be done. “Just spreading the information that they exist is one thing, but then there’s also taking it to the next step,” she says. Besides ExposeFakeClinicsPGH.com and organizing short-term weeks of action like the #GramTheVan campaign, the DSA uses other methods to combat the efforts of CPCs. 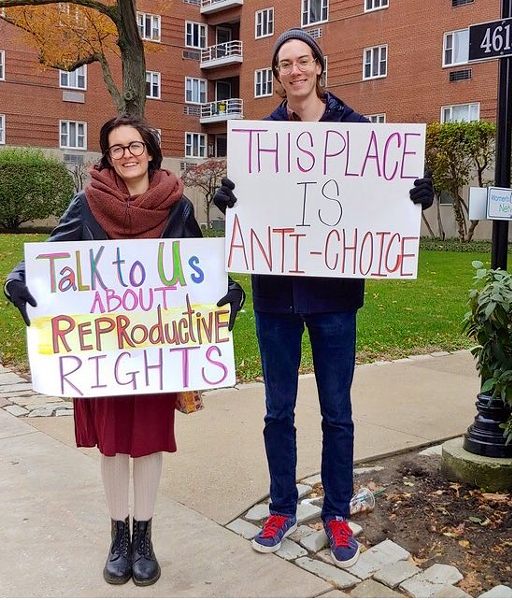 One is what Grabowski calls “street canvassing,” where volunteers engage people outside CPCs and inform them about legitimate healthcare providers that have similar free or low-cost services without the anti-abortion agenda. “It’s not like [CPCs are] the only options. There are other places people can go and people just need to know where the affordable options are,” says Grabowski, adding that places like Allies for Health + Wellbeing in East Liberty offer free STD testing and counseling. Though #GramTheVan only continues through Sun., Feb. 10, Grabowski hopes it adds to the conversation around CPCs. 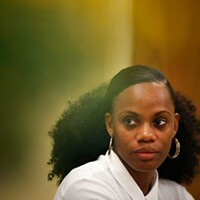 “We’re just hoping to reach people and get people talking about it,” she says.